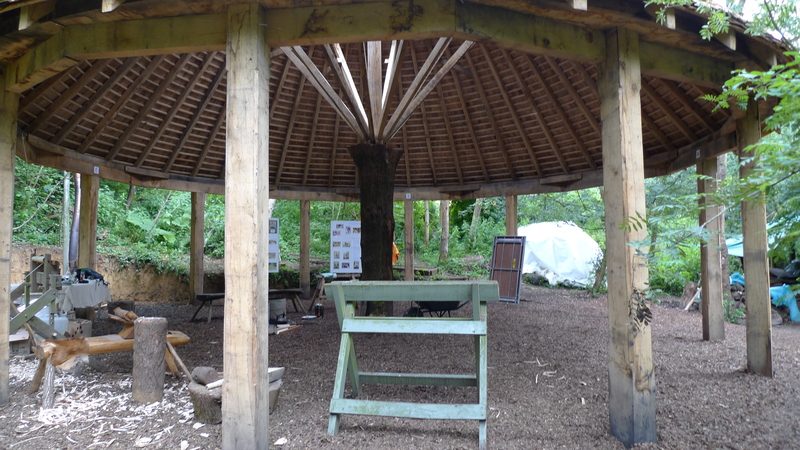 This is one of our favourite projects, working with architect David Austin and a team of staff and students at Ruskin Mill College near Stroud, Gloucestershire, to build a shelter for their green woodworking activities. 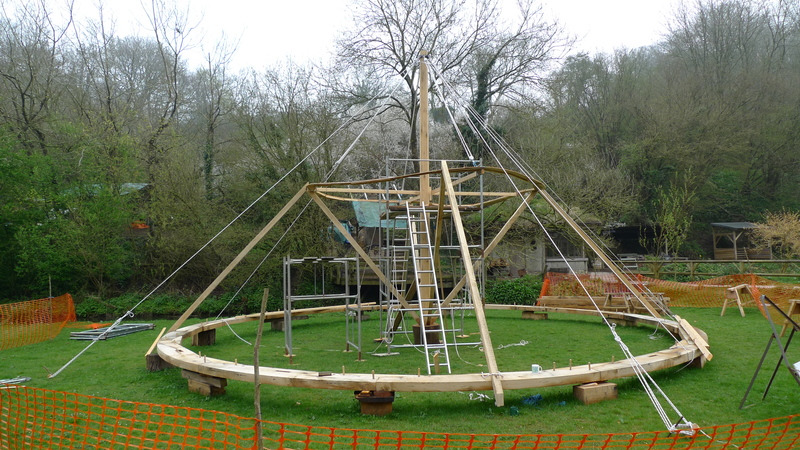 It’s a pleasure to go back to Ruskin Mill now and see how the students use a structure based on their own prototype, which fits their needs perfectly. 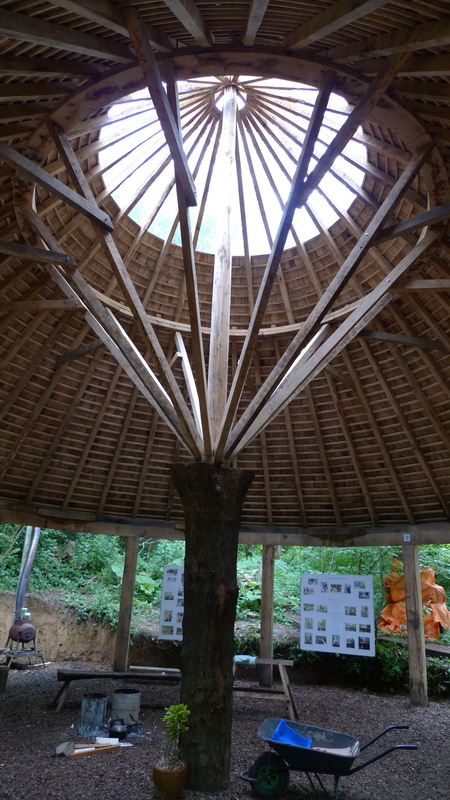 The roof light lets in natural light and the open walls are surrounded by woodland: this is a building that merges with the nature around it. 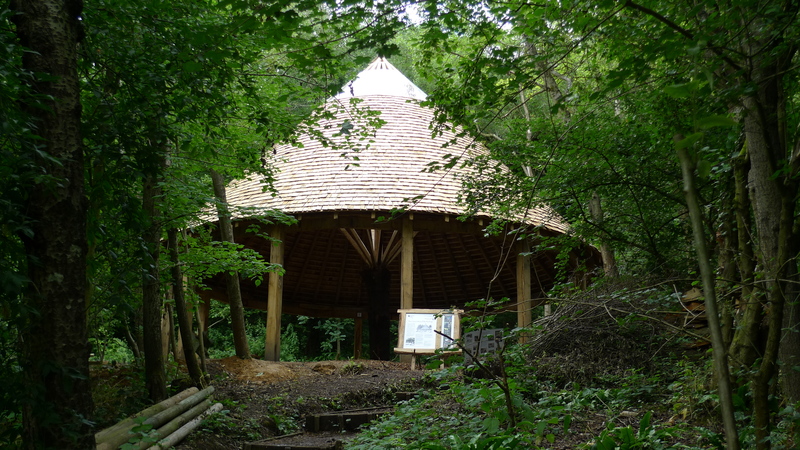 The green woodworking shelter was shortlisted for the prestigious Wood Awards in 2010. You can see images of it in use by the students on David Austin & Associates’ website and also a write-up of the shortlisted entry on the Wood Awards website.